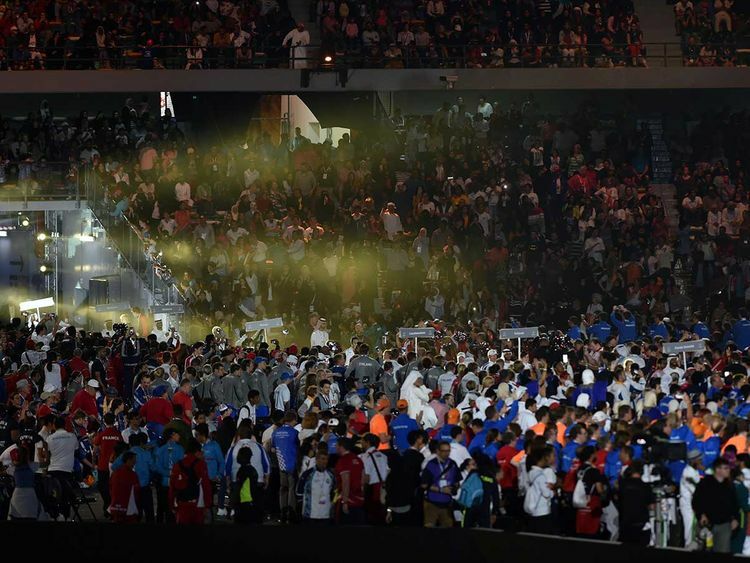 The flame of the Special Olympics World Games may have been doused at a spectacular closing ceremony at Zayed Sport City Stadium on Thursday, but the spark that has been evoked by 7,500 determined athletes from 200 countries will live on forever. What unfolded over the last seven days has not only been emotional, heart-warming and courageous but more importantly, it has been a life-changing experience for all those involved. Be it on the track, football pitches, tennis courts or in the pool, the battles won by these athletes have been truly special. They have spoken volumes of these determined athletes’ relentless will to excel and the opportunities they long for, to make themselves heard. Off the field too, they have been amazing ambassadors; be it displaying immense camaraderie, expressing love and affection towards fellow participants and people around; each one has been a winner in his own right. People turning out in large numbers for the events and for the closing ceremony was a testimony to that fact that there is only one winner here — the athletes themselves. The picture of a determined athlete hugging His Highness Shaikh Mohammad Bin Zayed Al Nahyan, Crown Prince of Abu Dhabi and Deputy Supreme Commander of the UAE Armed Forces, tight as if to never let go, during the opening ceremony spoke a thousand words and will be etched in the memory for a long time to come. The Games started with a solid, if not surprising question at the press conference during the opening. Bilal Hafeez, a 35-year-old Pakistani with cerebral palsy serving as an event reporter, asked Hessa Bint Eisa Bu Humaid, Minister of Community Development, about guarantee of a legacy for the event. But there were many more moments in between that left people mesmerised by the brilliance, wit and skill of people of determination, across all roles at this event. The UAE government’s initiative to take the New Zealand team on a tour of Shaikh Zayed Grand Mosque and to stand hand-in-hand with their team to show their solidarity with the victims of last Friday’s Christchurch terrorist attacks, that claimed 50 lives, also symbolised the true meaning of ‘Tolerance’ on which these Games were based. One also can’t forget the emotional appeal that the Yemeni head of delegation Abdul Sattar Ali Mohammad Al Hamdani made to the international community to intervene for peace in his war-torn country, after all four of his athletes ended up winning a medal each. Another highlight of the event was the Special Olympics Healthy Athletes Progamme, where they screened all the participating athletes. To see the sheer joy on the faces of 260 athletes from across 67 countries on hearing clearly for the first time in their lives through the hearing aids provided, was simply priceless. The hosts’ determined athletes have also superseded their performance in their own backyards and finished with the best ever medal haul of 184 — 64 gold, 55 silver and 63 bronze. And as the fireworks lit the skies and the curtains went down and everyone bid their goodbyes, a fleeting thought would have crossed everyone’s mind — What’s in store for these special souls until they meet again in Berlin in four years’ time.